Take advantage of the wide range of automatic and semi-automatic packaging machines for the packaging of industrial products and food. 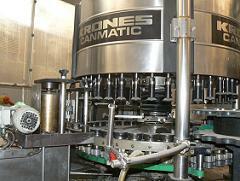 They are available as manual wrapping machines and packaging lines and machines, víkové and group packages, and wrapping machines and chamber packaging machines. TECHNOBAL - SALA s.r.o. pobocka TECHNOLOGY s.r.o.